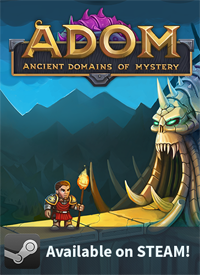 The Official Blog for ADOM (Ancient Domains Of Mystery): A late Merry Christmas, Happy Hanukah or just plain wonderful days! A late Merry Christmas, Happy Hanukah or just plain wonderful days! I'm shamefully late this year but Christmas was quicker here than expected. So I hope that you all already had a couple of wonderful days with friends and family and maybe are enjoying a couple more! Sadly we didn't manage to get ADOM to Steam but our initial beta version yielded so much awesome feedback that we decide to take the time and fix things that needed fixing. 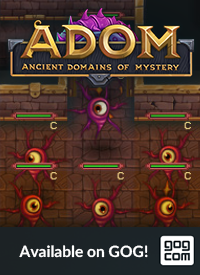 Thus I currently would expect a mid-January release for ADOM on Steam. At least others seem to be late, too - I haven't seen any results from the IndieDB Indie of the Year contest so far (or I am too tired to find it). I'm consoled by the fact that various postings seem to indicate that it is better to release a game during non-hot-spot times (like Christmas, contrary to my line of thinking). 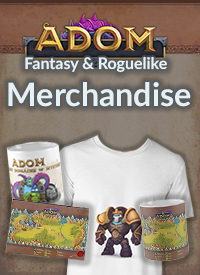 That's enough babbling from me - I'm back to work on ADOM and hope that you enjoy the final days of the year!